SCAD has facilities in Atlanta and Hong Kong and features online learning. The state-side flexibility isn’t crazy, since both campuses are in the same state—but that’s still more flexibility than any single-campus school offers! Plus, an opportunity to learn in Hong Kong could lead to an out-of-your-shell experience. And then there’s online learning…but if you aren’t going to a physical school to network with other students and professors and industry collaborators, there might be better options for you. Let’s take a look at the Savannah College of Art and Design! 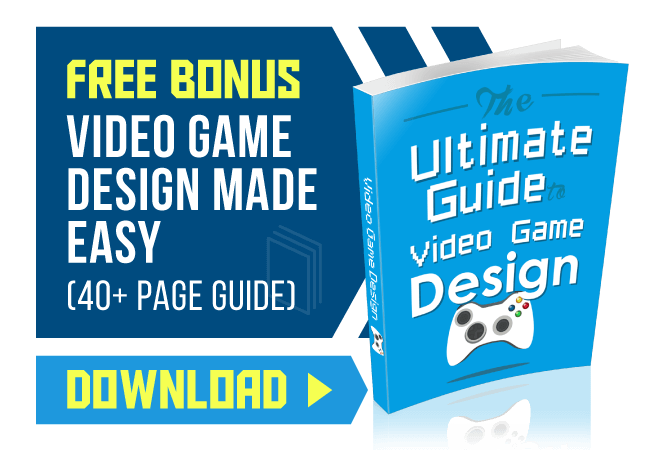 You should never put all your eggs in one basket, but that doesn’t mean you can’t use a single ranking to feel out a game design program. In this case, we’re talking about the P. Review and their list of the Top 50 Undergraduate Game Design Programs (and their list of the Top 25 Graduate Game Design Programs). In 2017, the Savannah College of Art and Design Game Design Program ranked 24th on the list of the top 50—better than 50% of the top 50 game design programs out there. Their graduate Game Design Program took 15th on the list of 25—that ain’t so bad, either. But, as we said, you shouldn’t put all your eggs in one basket. There’s more to picking a school and a program than input from the Princeton Rankings. For example, in the past five years, students from the Savannah College of Art and Design have won the E3 College Game Competition. Besides a shot at victory, what else do the Game Design programs at the Savannah College of Art and Design offer? Time to check out their undergraduate programs. 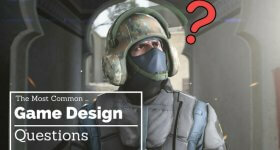 The Bachelor of Arts in Digital Media with a Concentration in Game Development focuses more on general education than it’s Fine Arts counterpart. Your foundation studies make up 25 credit hours of your degree for the BA program. Your general education will take up about 90 credit hours of your degree program (which is half of your total credit hours). The list continues. Your concentration studies will make up 45 hours of your degree program. The final 20 hours will go to additional electives. The BA in Digital Media also comes with an Interactive Design concentration. The foundation and general education courses are essentially the same between the two concentrations. Naturally, the concentration hours between the two programs make up the bulk of the difference. And other interactive design topics. The BFA program in Interactive Design and Game Development differs from the BA program in a few ways. The second difference is the credit hours for each section. Your foundation studies would make up 35 credit hours of your degree. You’d study similar topics (color, composition, drawing) and you’d also take two studio electives. Your general education makes up only 55 credit hours. You’ll take fewer subject-based electives (i.e. one maths/sciences elective instead of two). And you’d study Western Art and Computer Art Applications. Your major curriculum includes Interactive Design and Game Development Studio time, as well as core programming principles and digital design aesthetics, among other topics. You’ll have 15 additional elective hours to spend how you’d like. The primary difference is the studio time—you’ll spend more time in the BFA applying what you know. The BA caters to a more “well-rounded” education. Which can be beneficial if you put it to good use. Oceanography 101 might not make the most sense where you’re going…but sometimes you need to take that easy class to focus on your primetime coursework. We get it. What Is the Story with the SCAD Faculty? And there are more, to boot. Anytime you’re dealing with people in the industry or people who spent years in the industry, you know you’re signing up for something worthwhile. Not all teachers are alike, and not all industry veterans are born to teach, but to have those experienced eyes looking over your work and giving you advice or recommendations—that’s nothing to shake a stick at. What Do Alumni Say About Their Game Design Program? Redditor spaz1020 says “be prepared to work, then work harder. I spent 3 years in Savannah and spent almost every night at Monty working cause your project can always be better, there’s always something to practice or learn. It was a blast and I miss it. When asked about those studios, spaz1020 followed up with “WB, Vicarious Vision, Volition, Sledgehammer, Amazon and plenty of indie studios…it took me a while to get this job but a few of my classmates get [sic] hired right after school at the same place, same for the other studios. The takeaway there is, you can definitely get a job—you just need to apply yourself (PS That isn’t going to change no matter which school you go to). And you need to be networking—another common theme with schools, no matter their caliber. You never know who is going to make a difference in your life. You never know who the gatekeepers will be. One more parting note, from a current sophomore in the program—Darthpool_: “It’s a fantastic program, but as you’ve already heard, you get out of it what you put in. Prepared to put blood, sweat, and tears in projects? And there you have it. 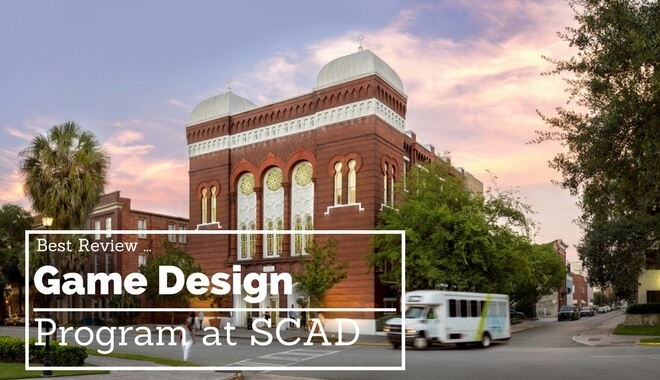 SCAD isn’t a magic success pill—but it can darn sure put you in a place to succeed. The rest is up to you.